Imagine if the Miami Hurricane staff wasn’t able to freely call out our administration in editorials or if our opinion writers couldn’t voice their thoughts on controversial topics such as abortion or hazing. We can’t, and no one should have to. 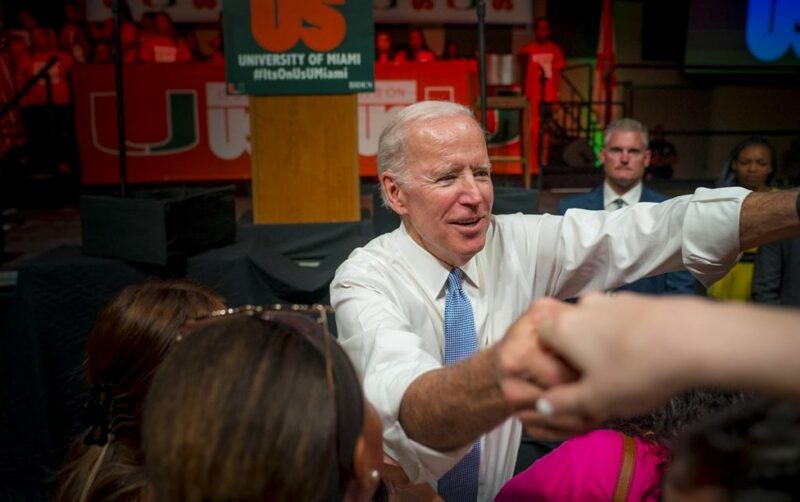 When Biden visited, he called upon students to set a new standard and change cultural norms. Now, we’re calling upon him to have integrity and truly apologize to those he has hurt whether it was what he intended or not. We’ve all been in this situation before: It’s the weekend, and you have tons of homework to do. But you put it off and you continually do so until it’s hours away from the due date, and now you feel terrible because you’re nowhere near done. Why does a day of love seem to be ruled by the laws of economics? We tried, but Sebring showed us that we need try harder. This shutdown- a display of the President’s pride and garish political showmanship- is an act of complete selfishness. At college, you have to the opportunity to curate your own experience and be a different person. Whether willingly or not, being on your own will show you parts of yourself you’ve never seen before. You feel it all around you: hacking coughs, sniffly noses, raspy voices, and more. It’s disheartening to hear yet another alleged instance of sexual abuse by a person in power. If this drop leads us to think, even more consciously, about striving for better versions of ourselves and our school—it’s worth it. There is still time to vote on the candidates you hope to see on the November midterms ballot. Grades aside, your personal peace of mind alone is reason enough to get some quality shut-eye.